Murfreesboro Tennessee is located in the Rutherford County area. It is the fastest growing city in Tennessee and it was named "Most Livable City". The 2010 census tells us that the populations is 108,755 people. Murfreesboro is the center of population in Tennessee. This all tells us one thing.. people are looking for homes for sale in Murfreesboro. A long long time ago Murfreesboro was mainly an agricultural community. The main crops were corn, tobacco and cotton. It has come a long way and that is because of the people and all of the traffic that the community now gets. 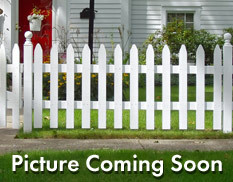 HHG can help you find homes for sale in Murfreesboro if this seems like the place you want to be! 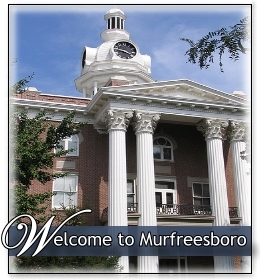 Let us know how we can help you find your way to Murfreeseboro Tennessee. 108 Sweet Bay Court has 4 bedrooms, 3 baths home is in pristine condition in a very desirable are in Murfreesboro. It has wood flooring throughout, crown-molding, updated appliances, mud room, high ceilings, a bonus room, and many more. This home will not be on the market for long! Enter the foyer of 108 Sweet Bay Court and the dining room is to your right with tons of light and perfect for hosting. Head past the dining room and it opens to the open living room with huge windows, a fire place and vaulted ceilings. Past the living room of 108 Sweet Bay Court the open floor plan extends to a breakfast nook and updated kitchen, tons of countertop space, a sitting are to plan your next meal, and a huge pantry. The bedrooms and bathrooms of 108 Sweet Bay Court are spacious! The master suite is beautiful with a walk-in closet, double sink vanities, jacuzzi tub, and private toilet. If you love hosting and great weather this backyard is perfect for you. Whether you are having a bbq, dinner under the sun, or a camp night- this yard will suit it all. What Do The Owners of 108 Sweet Bay Court Have To Say About The Property? What do you love about your current home? We are out but not far. Have a security system because we have always had one; however, the only ones that caused our security system to go off is us. Great yard to maintain and when we go out of town or the weather is dry we set the sprinkler system to do the job. Out of town visitors have their own area. Our home is efficient, open and easy. Not very far there are food chains galore: McDonalds, Sonic, etc. For us locally there is Camino Real, Parthenon, Jazzmatazz, Peter D's, Toots, Louisiana Seafood, Marinas downtown, Legions in Shelbyville, and others. Tell me about the town. What drew you to the town? Murfreesboro has a quaint downtown. Farmer's Market from spring to November every Saturday with local musicians. Everything from cut flowers, goat cheese, cottage bacon, watermelon, and on and on. During the week for fresh farm quality there's Rutherford Agricultural Center that is just about the same distance as downtown or maybe closer. Some of the local vendors will email you when they can be at the agricultural center during cold months. Murfreesboro is located between Nashville and Chattanooga; also, about seven hours from the gulf for vacation possibilities. Come get 108 Sweet Bay Court while it is hot!! To schedule your appointment, call Holloway Home Group listing agent Erin Holloway at (615) 939-4085 or email erinhhg@gmail.com Holloway Home Group can also help you buy another house or determine your home value. Don’t wait – call us today!